The building work moves on apace. 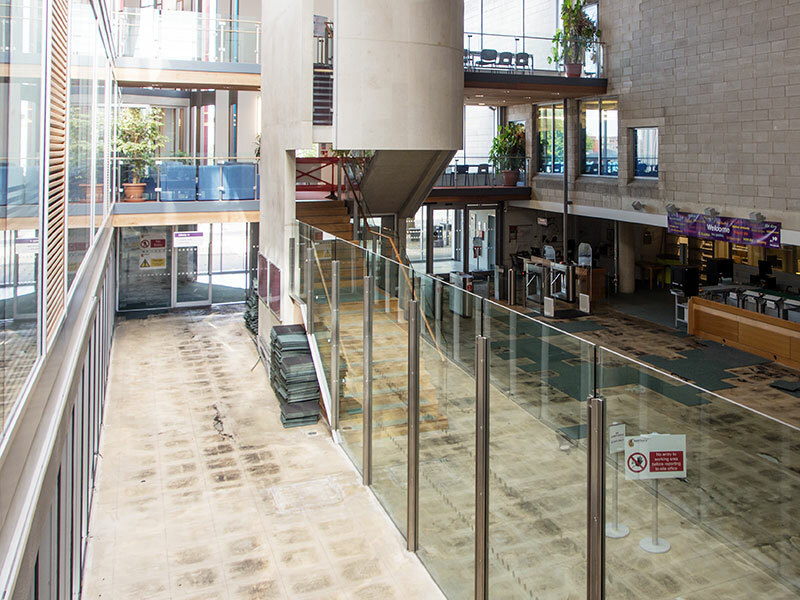 The glass our builders expertly demolished yesterday is now being cleared into a skip together with the old carpet tiles and rubble from razed walls in the café and elsewhere, and scaffolding is now in place in preparation for improvements to the ventilation system. For your safety, we have had to restrict access to Areas 1A and 1C. We strongly recommend you reserve anything available with a shelf mark between 001-699 at least one working day (Monday-Friday) before you come to collect to avoid disappointment. Your Library is still open and here to help you, offering computing, printing, photocopying and scanning facilities. More computers and colour printing facilities are available on the first floor of Richmond Building.